Celebrated on February 13th, National Plum Pudding Day is a day to learn more about this delicious dessert. A favorite dessert my dad had was that of plum pudding. My grandmother would often make it for him as a surprise. As a kid I could never understand what the fuss was all about. My grandmother made many delicious goodies but to daddy it was the plum pudding. If you have never seen or tasted plum pudding it is a round , thick, sweet and delicious. Centuries ago it was a treat that kings and queens would dine on. The coffee cans that grandmother collected in preperation for her baking time was only the start of plum pudding. Put the prepared fruit into a large bowl. Sprinkle 1/2 cup of the flour over the fruit and set aside. In a second bowl, sift the rest of the flour together with the soda, salt and spices, and set aside. Beat the eggs. Then add the buttermilk and remaining ingredients to the egg mixture, and mix together well. Now blend the liquid mixture with the flour mixture until it forms a batter. Pour the batter into the large bowl containing your fruit. Use a wooden spoon to stir and mix well, making sure the fruit is well-covered with batter. (now here is something that I will never forget grandma using all those coffee cans) Grease 1 lb coffee cans and pour the mixture into each until they are about 3/4 full. Cover each one securely with foil, and place in a pot or steamer. Steam in any covered pot or canner, allowing the water to rise to no more than halfway up the filled tins. Steam your puddings in consistently heated water for at least 4 hours. Check a tin periodically to note when the steaming is complete, when the dessert no longer appears creamy. When your plum pudding is steamed, remove it to a counter or dry shelf and let it cool for about 30 minutes. Carefully remove each cooled pudding from its mold. Wrap each pudding in a cheesecloth. Over wrap each packet in aluminum foil, then set them to mature in a corner of your refrigerator for two weeks to a month. When you’re ready to serve, steam each pudding again for about an hour. 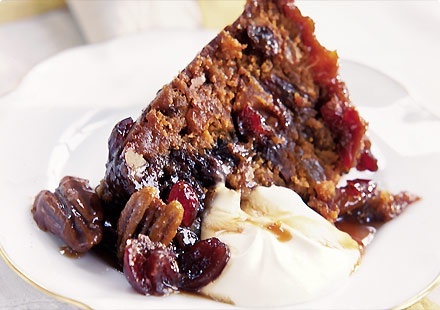 * Plum pudding, also know as Christmas pudding, is a steamed or boiled pudding usually served during the holiday season. * In many recipes, plum pudding actually contains no plums. The reason for this is in the 17th century, plums were referred to as raisins or other fruits. * The name Christmas pudding is first recorded in 1858 in a novel by Anthony Trollope. * Plum pudding is usually made up of nutmeg, raisins, nuts, apples, cinnamon and dates along with other ingredients. * In England, traditionally every person in the home holds onto the wooden spoon together to help stir the batter. While they are stirring, they also have to make a wish! * Plum pudding has also been known to be called plum duff. Preheat oven to 350 degrees. Cream butter and sugar until light and fluffy. Sift together flour and baking powder; remove 2 tablespoons and set aside. Add sifted ingredients, alternating with milk, to creamed mixture. Stir in vanilla and almond extract. Combine almonds with reserved flour and add to batter. Beat egg whites until stiff. Add in salt. Fold into batter. 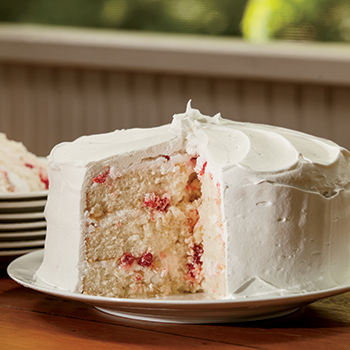 Pour into three greased and floured 8- or 9-inch cake pans. 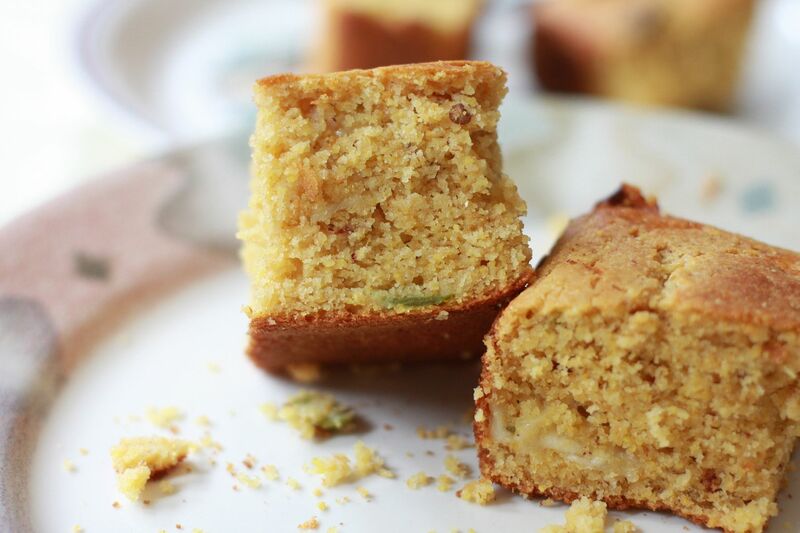 Bake for about 20-25 minutes or until a toothpick inserted in the center of the cake comes out clean. Cool 5-10 minutes then remove from pans and cool on racks. Tips & Notes Some historians say Mary Todd Lincoln didn't serve the cake with frosting, but it certainly adds great flavor! While cake is baking, prepare frosting: Combine sugar and water in a saucepan, stirring until sugar is dissolved. Bring to a boil; cover and cook about 3 minutes until the steam has washed down any sugar crystals that may have formed on side of pan. Uncover and cook until syrup reaches 238-240 degrees on a candy thermometer. Whip egg whites until frothy; add in syrup in thin stream, whipping egg whites constantly until frosting is spreading consistency. Mix in cherries, pineapple and vanilla or almond flavoring. Frost cake once it has cooled. 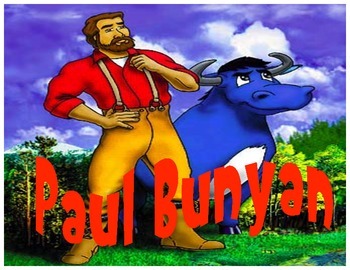 Paul Bunyan Day is always on February 12th which is also his birthday. There are many states that celebrate Paul Bunyan day. Michigan, Minnesota, Oregan and California all observe Paul Bunyan day. 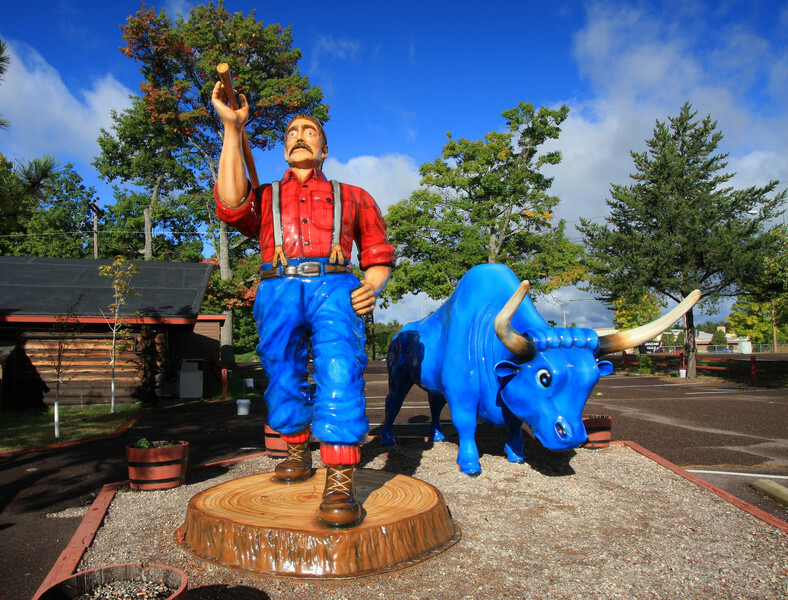 Minnesota also has a Paul Bunyan theme park aka Paul Bunyan Land. The word "bunyan" sounds like the french-canadian slang word "bonyenne" which english translation means "Good Grief" which is often used when something extraordinary. The tale was shared by mouth and sometimes these tales get shared and changed as they spread. The first known publication of the Paul Bunyan tale was told by James MacGillivrary and later recorded and published by W. B. Laughhead in 1916. Preheat oven to 350°F. In large mixing bowl, beat cream cheese and butter at medium speed until smooth. Add confectioners' or powdered sugar alternately with milk, beating 1-2 minutes or until blended. Remove 1 cup frosting from bowl; set aside. Grease and flour 8x8-inch square baking pan. With mixer at slow speed, add eggs to remaining frosting in mixing bowl. Add vanilla; beat until blended. In small bowl, combine flour, baking powder and salt. Add flour mixture to mixing bowl alternately with water and continue beating 1-2 minutes or until well blended. Pour into prepared pan; bake 30-40 minutes or until toothpick inserted in center comes out clean. Cool 10 minutes; remove from pan. Cool completely. Place cake on serving plate. Spread sides and top of cake with remaining frosting. For Cupcakes: Follow cake recipe and then pour batter into 12 medium muffin cups lined with paper baking cups, filling 2/3 full. Bake 25-30 minutes or until cupcakes spring back when lightly touched in center. Remove from pan. Cool completely. Spread tops of cupcakes with remaining frosting. I am a bread lover and often eat it with my meal. After I recently found out that most our family both those born in the family and those that are new members love Pepper Jack cheese so this recipe would be delicious with stew, casserole, beans and so many other things. Enjoy!! DirectionsPreheat oven to 425 degrees F. Generously grease 8"x8"x2" pan. Blend together cornbread mix, sugar and baking soda. Add remining ingredients and mix well. Pour and evenly spread batter in pan. Bake 23-27 minutes or until browned. To Double Recipe, bake in well-greased 9"x13"x2" pan, 23-27 minutes. For a crispy crust, heat well-greased pan in oven until sizzling hot. Fill with batter and bake. Beat butter and sugars together in large mixing bowl until light and fluffy. Add eggs, milk and vanilla; beat well. Stir together flour, baking powder and salt in small bowl; gradually add to sugar mixture. Cover and refrigerate dough 3-4 hours until chilled. On well-floured surface, roll out half of dough at a time, to 1/8 inch thickness. Cut into heart shapes. Bake on ungreased cookie sheet for 8-10 minutes or until lightly browned at edges. Cool. Decorate as desired. In large bowl, combine confectioners' sugar with water until mixture is desired consistency. Add more water for a thinner consistency and less for a thicker consistency. Add food coloring, a dash at a time, until desired shade. To bake this raspberry swirl cheesecake recipe, preheat your oven to 350° F. Grease bottom of 9-inch springform pan and set aside. Combine crumbs and sugar in small bowl. Add melted butter and stir until blended. Press crumbs onto bottom of prepared pan. Bake 10 minutes. Cool completely on wire rack. To make filling, beat cream cheese and sugar in medium-size bowl with electric mixer until light and fluffy. Beat in flour. Add eggs and vanilla and beat until thoroughly blended. Carefully grease inside edge of pan above crust. Spoon half of batter over cooled crust. Spoon raspberry filling over batter and top with remaining batter. Cut through batter and filling with flat-bladed knife to create swirled effect. Bake 60 to 65 minutes or until center is set and top is golden. Cool completely in pan on wire rack. Refirgerate until ready to serve. To serve, run tip of sharp knife around inside edge of pan and release side of pan. 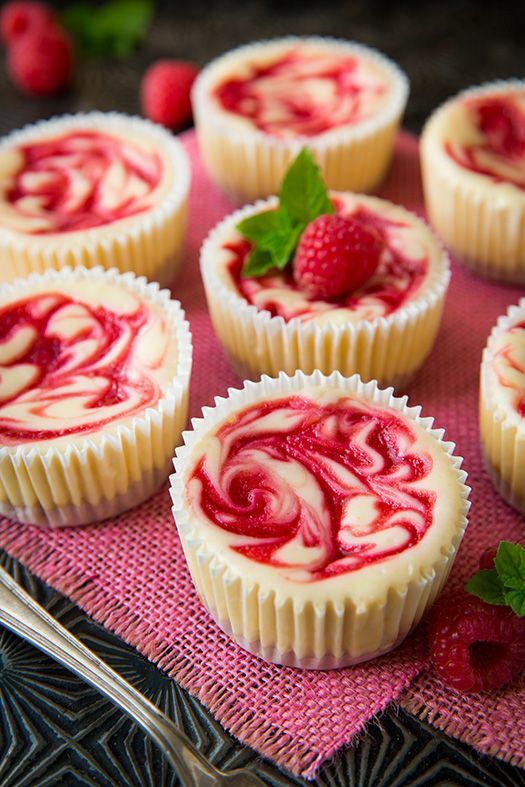 Place the raspberry swirl cheesecake on serving plate. Dust top with confectioners sugar, if desired. Garnish with fresh raspberries, chocolate curls and whipped cream! February is American Heart Month. No better time to celebrate than the month where love is in the air. Even one of the symbols for valentines day is a heart. See how it goes together so nicely. Heart disease in the US is at epidemic proportions and is now the leading cause of death for both men and women. The CDC estimates that 715,000 people suffer a heart attack each year however only 27 percent of people recognize chest pain as a symptom. Heart disease is both preventable and controllable. A heart attack occurs when a blood clot blocks the flow of blood through an artery that feeds blood to the heart. It causes permanent damage to the heart muscle unless it is treated quickly. The most common cause of heart attack is atherosclerosis and can include very low blood pressure, a tear in the heart artery, drug use or small blood clots or tumors that form in the body and travel to the heart. Chest pain, shortness of breath and pain that spreads to the shoulders, neck, arms or jaw are common signs in men of a heart attack. In women common signs are severe chest pain, nausea, vomiting, dizziness, fatigue, inablity to sleep and breaking out in cold sweat. However, every case is different and if one is experiencing any symptoms like indigestion, chest pain or fatigue you should seek immediate medical treatment. Factors such as high blood pressure, high cholesterol, diabetes, obesity and lack of exercise are all risk factors. Early recognition of a heart attack can greatly reduce long term damage. First and most important tip is to always call 911 if you are experiencing any heart attack symptoms. False alarms are understandable. Some life changes you can do to limit your risk of heart attacks are monitoring blood pressure and cholesterol, getting plenty of exercise, putting a good dose of omega 3 fatty acid in your diet. Celebrate American Heart Month by getting your numbers checked and being proactive about one of the most important muscles in your body. 1. In large nonstick skillet cook turkey, onions and garlic over medium heat until turkey is no longer pink and onions are tender. Drain off any fat. 2. Stir in tomato sauce, KELLOGG’S ALL-BRAN BRAN BUDS cereal, water, chili powder, Worcestershire sauce, salt and pepper sauce. Bring to boiling. Reduce heat. Simmer, uncovered, for 5 to 8 minutes or until of desired consistency, stirring frequently. 3. Spoon turkey mixture onto buns. Sprinkle with cheese, green onions or tomatoes (if desired). This is an easy breakfast recipe that takes few ingredients and is super easy as well. In a large dutch oven or deep cast iron skillet, heat about 2 inches of oil to around 350 degrees. To know when your oil is hot enough, you can either use a thermometer or put a drop of water into the oil; if the water sputters and pops, it’s ready. I kept my heat set on medium-low after reaching the desired temperature and was able to keep a pretty consistent 350 degrees. Have a large platter lined with paper towels ready. Mix sugar and cinnamon together in a pie plate or platter; set aside. Cut each biscuit into quarters. Drop 6-8 pieces of dough in the hot oil (carefully) and cook until they begin to brown on one side and float. Turn them over and cook until the other side is lightly browned. Remove from the oil and drop into the cinnamon-sugar; roll to coat and set on the paper towel-lined platter. Repeat with the remainder of the dough pieces. If your dough seems to be browning too quickly, your oil is too hot. Reduce the heat just a little. Each piece should take about 45 seconds to 1 minute on each side. Serve immediately. Makes 32 pieces.